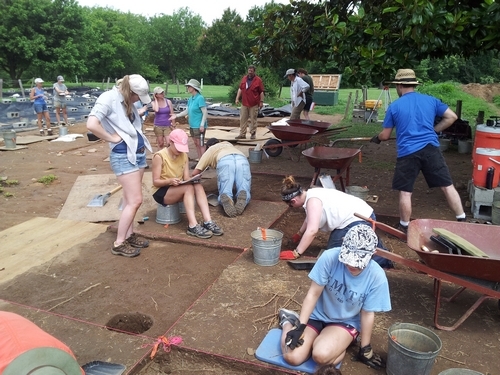 Virginia Commonwealth University students participate in the archaeological field school at Ferry Farm in Summer 2013. Scanning an American Indian chipped stone tool at George Washington’s Ferry Farm. Archaeologists working at Ferry Farm in Fredericksburg, Virginia, are actively excavating the site where George Washington spent his childhood, beginning at age six. Since 2012, Virginia Commonwealth (VCU) students have joined with George Washington Foundation archaeologists to uncover traces of young George, his mother Mary, and the rest of their family, as well as that of the Washington family’s enslaved servants. Archaeologists here have also found evidence of the American Indians who lived on this landscape beginning 10,000 years ago, Union encampments associated with the American Civil War, and even the families who lived here above the banks of the Rappahannock River into the 20th century. 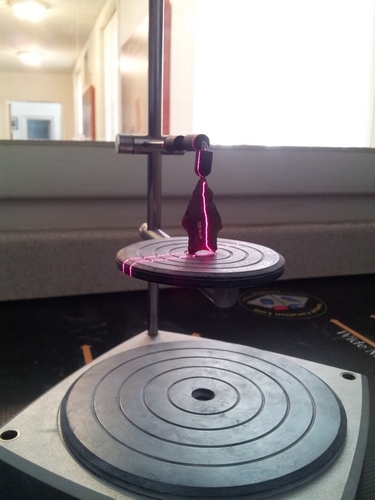 The Virtual Curation Laboratory at VCU has created 3D digital models and printed resin replicas of artifacts from all major time periods revealed through archaeology at George Washington’s Ferry Farm.